What can I say here? The jokes write themselves. 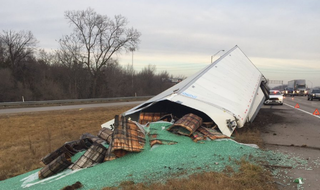 A truck driver lost his marbles Saturday on an Indiana highway, before losing a trailer that went over an embankment and spilled the cargo across the shoulder and median. The upshot? The driver’s fine, and we’re literally talking about marbles. Thirty-eight thousand pounds of them. Indiana state police told a local Fox affiliate that the crash forced one lane of I-465 to be closed for most of Saturday, but no injuries were reported. That gave the state police spokesperson an opening to drop jokes like it’s open mic night at the local bar, including a vibrant set of emojis to highlight the lack of injuries. 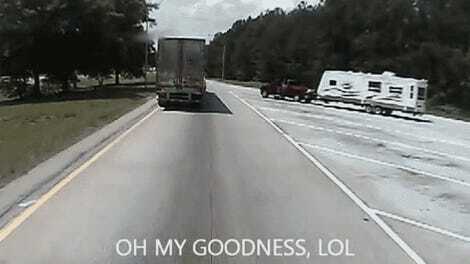 Would autonomous trucks even stop this sort of madness?